Stop Nighttime, Sunday, and Holiday Subway Construction! 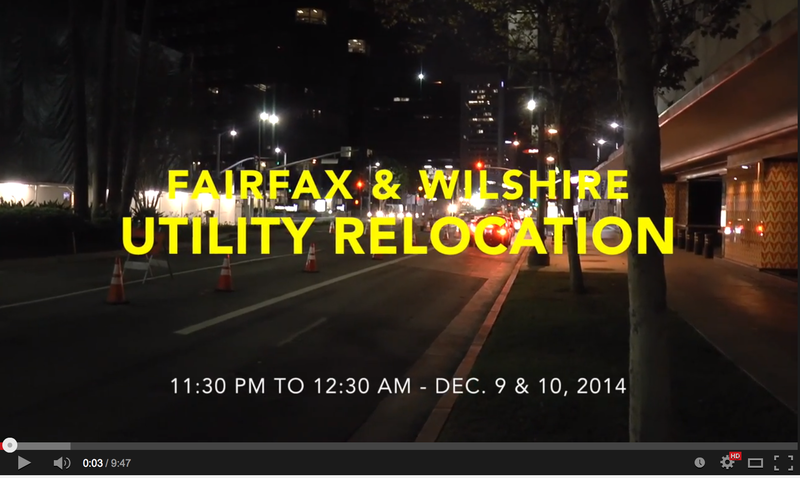 Why does the MMRA oppose nighttime construction? La Brea/Wilshire subway station. Shaded areas are construction staging sites. Fairfax/Wilshire subway station. Shaded areas are construction staging sites. Note: the station entrance was moved to the southeast corner of Wilshire and Orange Grove since this map was originally published. Click on image to view video. 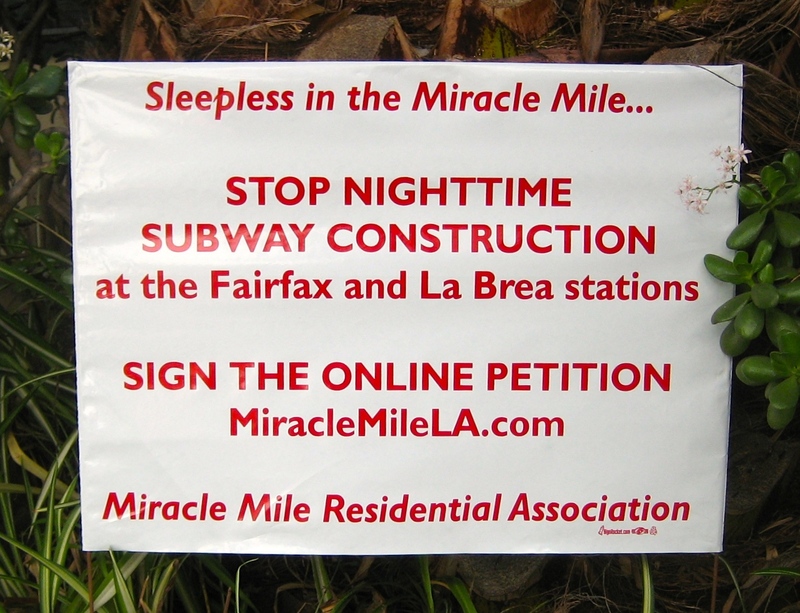 A neighborhood organization in the Miracle Mile area is pushing back against a proposal that would allow construction on a subway project during overnight hours. Kate Larsen reports from Mid-Wilshire for the NBC4 News at 6 p.m. on Wednesday, March 19, 2014. KABC Channel 7 News: Metro Purple Line project digs under Tar Pits – See what’s going on at the test shaft at Ogden and Wilshire and the fossils they are finding. Building a Subway Tunnel – A video depicting construction on the Toronto subway system which utilized many of the same construction techniques that will be used on the Purple Line Extension. Tunnel Boring Machine in Action – A great animated video that explains how these enormous machines work. TunnelTalk.com: Los Angeles Scopes Mega Metro Expansion – An industry publication reviewing the technical, financial, and design-build aspects of the construction.